"My goal is to help physicians and their staff identify areas of opportunity to improve care within their practice, and to offer the tools and expertise of Caravan Health to make this seamless and less burdensome for the practice." 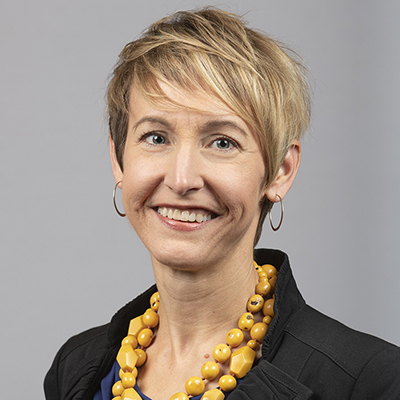 Nicole Banister brings nearly twenty years of leadership in health care operations with positions in hospital systems, physician practices, and quality improvement consulting. Nicole has an undergraduate and a master’s degree in nutrition and started her career as a dietitian working with patients with diabetes in Texas. After completing her master’s degree in health care administration, she was promoted to positions of increasing responsibility in specialty practices and hospitals systems. She moved to Maryland in 2005 to serve as a consultant to the Chief Operating Officer of the Johns Hopkins Hospital and then continued as the Division Manager of Cardiac Surgery at Hopkins. In 2009, Nicole was drawn back to Texas to serve as the first Director of the Regional Heart Program at Dell Children’s Medical Center and then moved into strategy development for the larger Seton health system. In each of these roles, she engaged with physicians, nurses, staff, and patients to improve the quality of care, and applied data to promote change and track outcomes. Starting in the fall of 2013, Nicole led the development and deployment of the Comprehensive Primary Care (CPC) and Comprehensive Primary Care Plus (CPC+) Learning Network. In this role she managed practice transformation efforts across all 18 regions, facilitating learning and diffusion of best practices across 3,000 primary care sites. Nicole joined Caravan Health in the fall of 2018. As the Vice President of Practice Transformation at Caravan, she leads the delivery team in their work with clients on Caravan Health core initiatives like annual wellness visits and chronic care management. She ensures our approach incorporates adult learning theory and change management. Nicole is thrilled to be supporting our clients’ efforts to improve health care in the U.S.